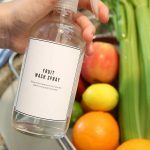 A simple and all natural DIY Veggie Wash or Produce Wash that is great for cleaning dirt, chemicals and pesticides off of your fruits and veggies. Let’s face it, our environments are filled with a lot of different chemicals that we encounter on a daily basis. We all know the damage these chemicals can create with continued exposure over long periods of time. So in our home we are doing our best to try and limit the chemicals we come in contact with. 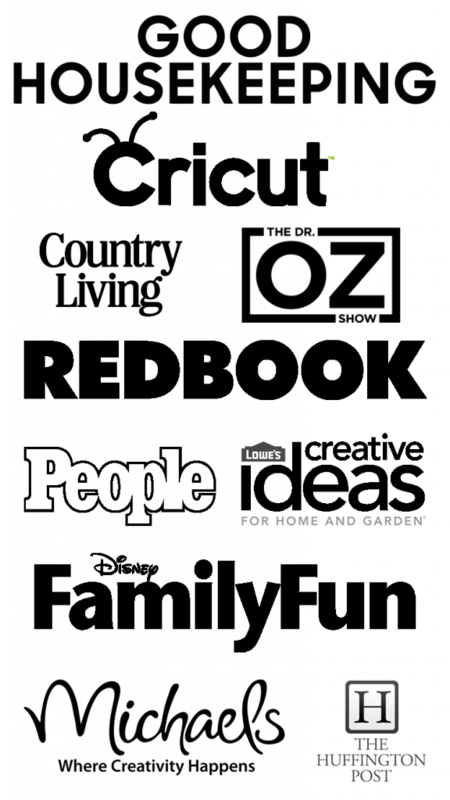 That means we have slowly been making changes in our home how we eat and the products we buy. One of the first things I started doing was making sure we were eating clean foods without GMO’s and pesticides and washing our fresh produce with a produce wash.
Produce wash, sometimes called veggie wash or fruit wash is great for removing dirt, pesticides and fertilizers that may still remain on the surface of your produce’s skin. If you are going to be eating the skin on the produce, it is important to remove as much of the harsh chemicals as possible so you aren’t ingesting them into your body. You can buy a commercially made Produce Wash or Veggie Wash, but I have found that some of them have additional chemicals added to them, which kind of defeats the purpose for using them…right? 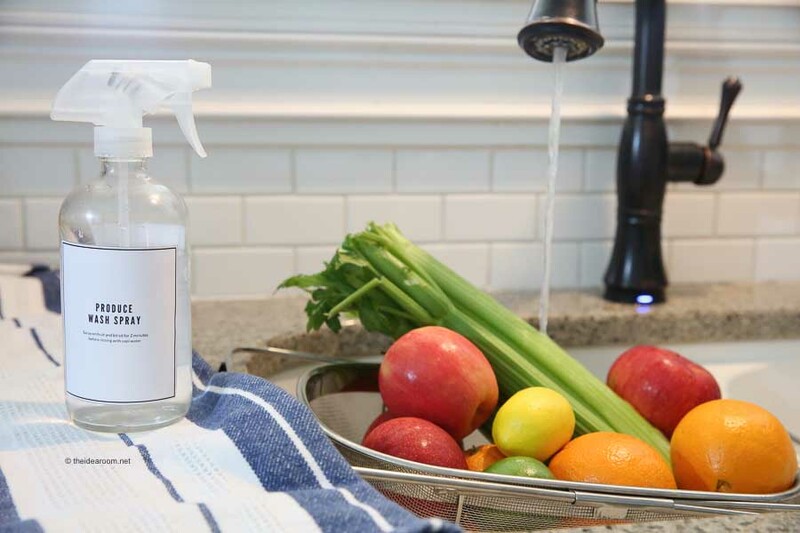 So we use our own fruit and vegetable cleaner in the form of this Produce Wash recipe. It is so easy to make and contains only 3-ingredients that you most likely have on hand right now! 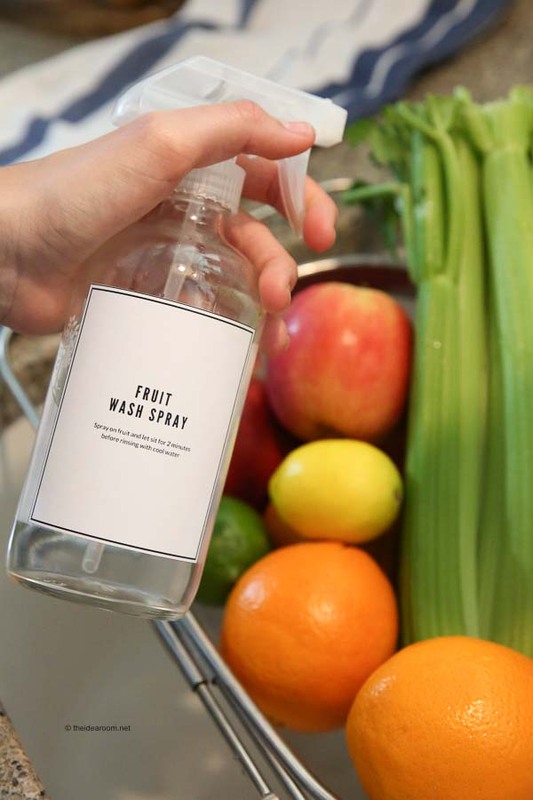 You can use the produce wash as a spray or as a soaking solution. I have the recipes for both below. Mix baking soda and essential oil together. Spray on fruit and let sit for 2 minutes before rinsing with cool water. 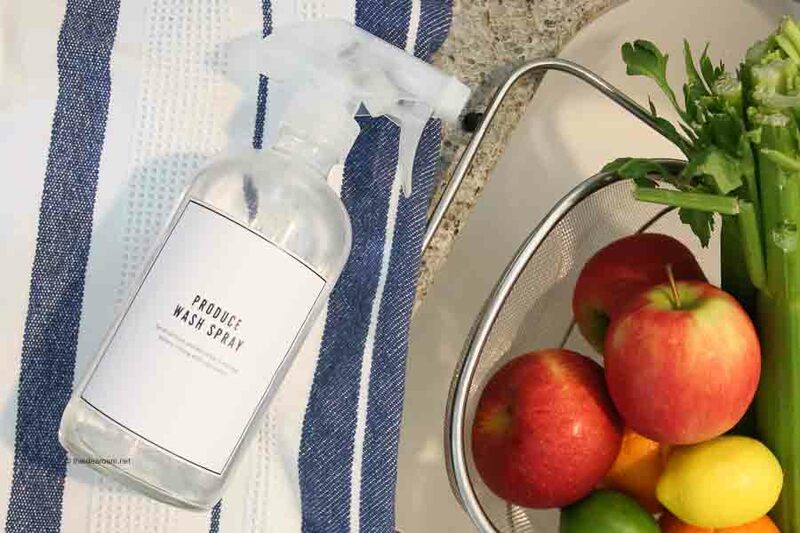 For the spray: put all ingredients into a spray bottle. Shake gently to mix, then spray on veggies or fruit allow to sit for about 2-5 minutes then rinse under cold water. For fruit soak: Substitute water with 1/2 cup white vinegar Fill your sink with warm water or fill a large bowl with water. Place your fruit in the bowl (be sure that you do not add too much fruit at a time and do not make the water too hot) and add either your juice and vinegar mixture or the oil and vinegar mixture. Let the fruit soak for about 25-30 minutes then rinse thoroughly. I like to wash my fresh produce right when I bring it home from the grocery store or the farmer’s market. Then I make sure to let my produce dry properly before storing them until we can eat them. I have noticed that it seems to help my produce stay fresher longer! 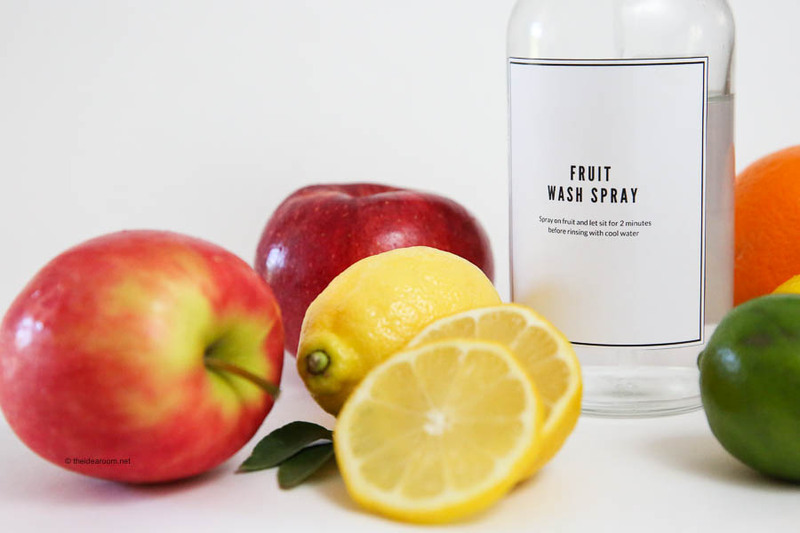 I also created a pretty label for my Produce Wash and Fruit Wash because who doesn’t love a pretty label! If you want to print them and use them, simple click on the link below! Simply print them, cut them out and then glue them onto your bottle with a glue stick. Are you interested in seeing all the other great uses for Lemon Essential Oil? I have an entire post full of the amazing Uses of Lemon Essential Oil. I also share some other DIY Lemon Oil Recipes and ways to use Lemon Oil in your life. You can check that out here: Lemon Essential Oil. 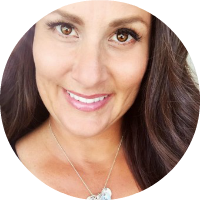 I would love to have you join our doTERRA team! This is really an enlightening post, I will start to make the produce wash myself from today onward. 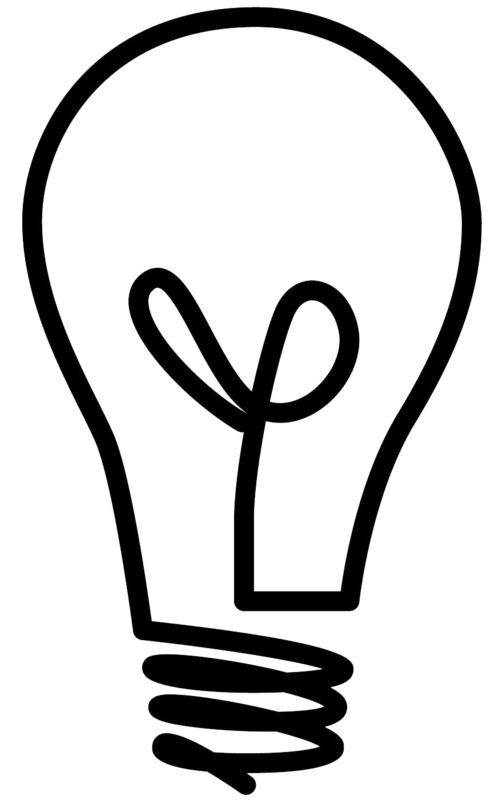 Amphasis- So glad you found this post helpful! Thank you. Thank you so much. If I don’t use it all at once how long can this spray mixture be store? Also, would you store it in the frig or a cupboard? I store mine in the cupboard! Should last up to 3 months!